On a recent client engagement fellow Xtravirt colleague Darren Woollard and I were awaiting the build out of the IBM HS22 blades the client had procured for our usage as ESXi5 hosts. IBM services came in to complete the configuration of these servers which was stated to only take a mornings worth of work. Unfortunately due to a very strange default setting that the HS22 blades seem to come with it took us almost four days and the below work around to fix the “problem”. 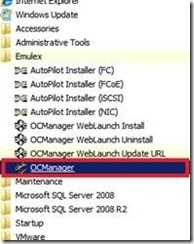 With the OneCommand software installed ,Select the OCManager program from the MS Windows Start Menu. 4. 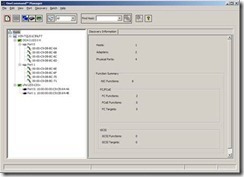 The application will launch and enumerate the adapters; this typically takes 30 seconds to populate the left hand pane. 5. 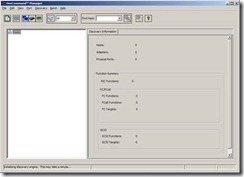 The populated pane should resemble the screenshot below. 6. Highlight the OCm adapter. The Personality section will reveal the NICs are to set to iSCSI. 7. Click the NIC-only radio option. 10. That’s the “re-configuration” complete for this blade, now to repeat the above steps across all your remaining blades . I’m sure there must be a simpler way of fixing it but we spoke to a few IBM services people and the only way to fix it seems to be this which we find very hard to believe. Categories: IBM, Virtualisation | Tags: auto deploy, ESXi, HS22, IBM, iSCSI by default, missing nic IBM HS22, OCManager, OneCommand, second nic, Stateless | Permalink. After trying everything from rebuilding Auto Deploy to re-creating the whole AD and the TFTP server I decided to try change my networking from Host Only to another setting in the hope this would do something and for reasons i’m actually unsure of at the moment it worked . 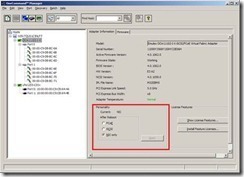 Categories: Virtualisation | Tags: auto deploy, Failed to download file from server. Client Returned: TFTP Aborted, Host Only, TFTP, undionly.kpxe.vmw-hardwired, VMware Workstation, vSphere 5 | Permalink. I know this isn’t following the flow but I wanted to get Auto Deploy tested in my lab early so I jumped to this so I could have all of my Auto Deployed Hosts done before doing all my other lab work. This is quite straight forward but is something that is also extremely important and therefore is something I think you need to make sure you really who how to do. The steps are detailed on pg75 and 76 of the vSphere Installation and Setup Guide. Provisioning is covered on pg 81 of the vSphere Installation and Setup Guide. Reprovisioning is covered on pg 82 of the vSphere Installation and Setup Guide. This is covered on pg 84 vSphere Installation and Setup Guide. I think this is something that may be asked as it incorporates host profiles and auto deploy and is something that can be easily tested in the lab. That’s my opinion though. Categories: Certifications, Virtualisation | Tags: auto deploy, VCAP, VCAP-DCA, VCAP5, VCAP5 Blueprint, VCAP5-DCA | Permalink. Yep I’ve decided to start trying to build up my All Things Virtual postings so as to try help myself keep up to date on the latest news happening in the virtualisation arena and also help people like myself who don’t have the time during the day/work week to keep up to date on the latest blog postings,news and articles. I’ve only listed the past few week’s worth of blog postings that have caught my interest and for future All Things Virtual I’m planning on doing it fortnightly/monthly. Next was the results of Eric Sieberts yearly Top Virtualisation Blog poll. I was very honoured to be included in the voting this year for the first time and came in at 103rd which I’m really pleased about . A massively congratulations to all the top 10 and top 25 blogs and it’s amazing to see that 1 in 10 of the blogs in the votes were from the London VMware User Group #LonVMUG crew. The mad rush for the VCP5 upgrade before the end of February cut off date is in full swing. Almost all my colleagues at Xtravirt have done theirs in the past week and almost every day loads and loads of the people I follow on twitter are posting about their passing of the exam. For those that have decided to bypass the cut off date due to possibly already having done the what’s new course or are happy to do the what’s new course there is a massive amount of top resources out there for you to use. I’ve tried to list them all on my VCP5 page. Cody Bunch’s VCP5 Brownbag series is now in full swing with videos of all the objectives listed by Cody in his VCP5 Brownbag Playlist posting. As I’ve mentioned loads of times in my VCAP4,VCP5 and VCAP5 study resources pages, the trainsignal videos are an amazing learning resource in my opinion and are as good if not better than attending the respective courses. 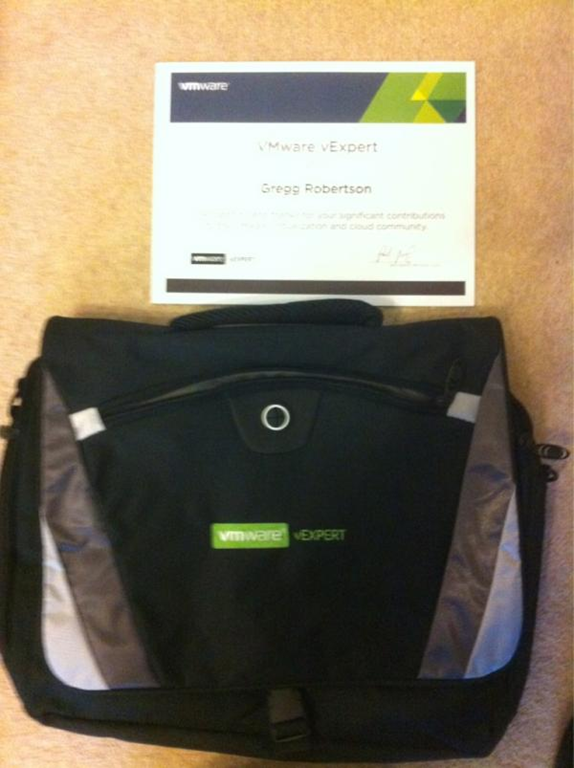 TrainSignal have recently released the VMware View 5 Essentials Training videos. The videos are described by Trainsignal as “Virtualisation experts Brian Knudtson and Lane Leverett guide you from VDI basics, through app virtualization and more. Learn how to get your View environment up and running and reduce costs for your end-user desktops”. I’m currently started to use these videos in my attempt to strengthen my VDI skills and hopefully if all goes to plan try obtain my VCP5-DT. 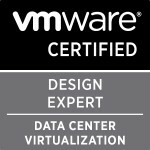 Talking about VMware View and the VCP5-DT, the VMware View 5 Install Configure and Manage course was released in early January and Eric Sloof posted all about it in his posting here. The course looks really good and maybe if I am given the opportunity i may be able to attend it and give a good overview for anyone thinking about attending the course. Categories: Virtualisation | Tags: auto deploy, Brown Bag, LonVMUG, VCAP, VCAP-DCA, VCAP5, VCDX, VCP5, VCP5-DT, vExpert, VMware View 5 | Permalink.